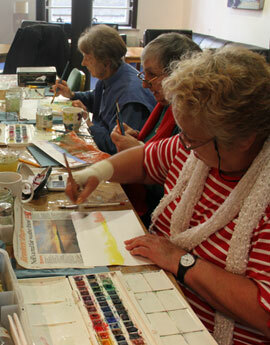 On Tuesday mornings at Covent Garden Community Centre in Seven Dials Club there is an Art Class, from 10am to noon. Go to CGCC Seven Dials Club, 42 Earlham Street, WC2H 9LA. The class is FREE and you don’t need to have any experience to join.